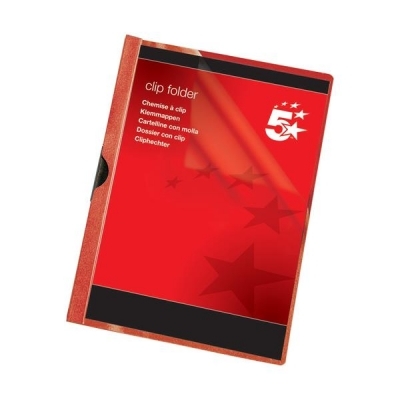 Unpunched papers are firmly held in place by strong steel clip. Semi-rigid coloured back. Transparent PVC anti-glare front. 3mm size has 30 sheet capacity. Size: A4. Red. Packed 25.